We have optimized high cell density flow electroporation technology to rapidly generate (3-5 weeks) high quality proteins for research and clinical studies. 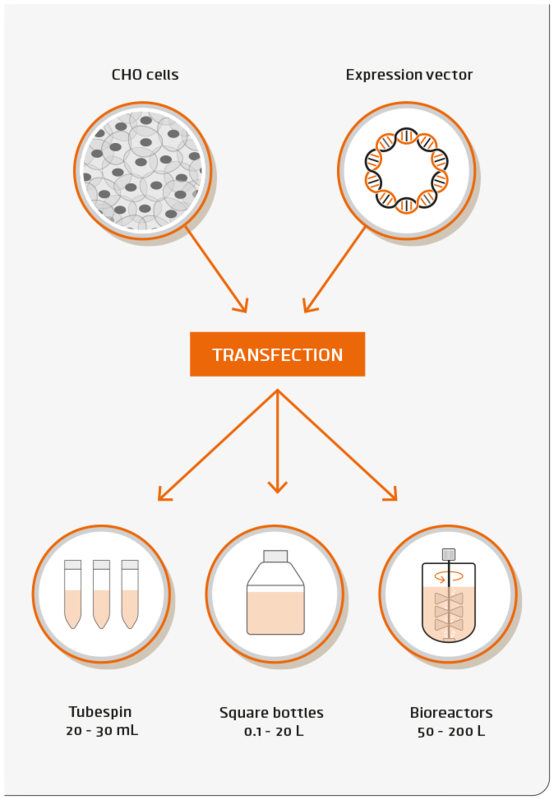 The Batavia Biosciences transient production technology is the most cost effective production method to rapidly generate high quality clinical material. Transient productions can be performed at up to 50 L scale using either our in-house animal component free batch or fed-batch processes or using customer developed processes or medium.